But hold on… you’re not home free yet. 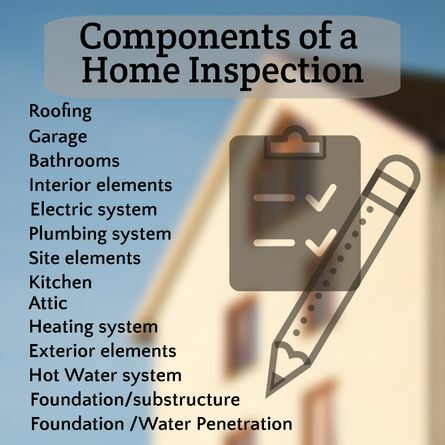 There is still the Home Inspection process to get through. If you’ve sold a home in the recent past, you already know that working through inspection issues can keep you awake at night. If you haven’t sold a home in the last decade…well, you may be in for a big surprise! You’ve put in a lot of effort, time and money preparing your home to list…you’ve come to an agreement on the terms, but now you have to worry about unknown issues the Inspector might find. What if the Inspector finds some major damage you never knew about? Will your buyer want EVERYTHING fixed? While it’s certainly true that Inspection issues are the major cause of a sale falling through, there is plenty you can do in advance to not only prepare for a home inspection, but to give you some peace-of-mind as you work through the Inspection process. Being “in the dark” can send anyone’s imagination into over-drive. Horror stories from neighbors and well meaning friends just add fuel to your fear of the unknown. You do know you’ve taken excellent care of your home, and you’re instantly suspicious of any Home Inspector who reports differently. To be fair, the Licensed Home Inspector is hired by the buyer…but their job is to inspect your home and provide a report of their findings…not to advise your buyer if they should proceed with the purchase based on what they find. That is their Agent’s job. If you REALLY want a thorough understanding of a Licensed Home Inspectors job and responsibilities, spend a little time poking around their InterNACHI or ASHI website. Both are profession organizations that establish high standards for their Inspector members. If your buyer is faced with a long list of needed repairs, they can get a little nervous…and ask for the moon in their Inspection Response. what you need to do to restore the buyer’s confidence and proceed with the sale. But there is a better way…a way to avoid these problems and surprises that can potentially kill your sale. 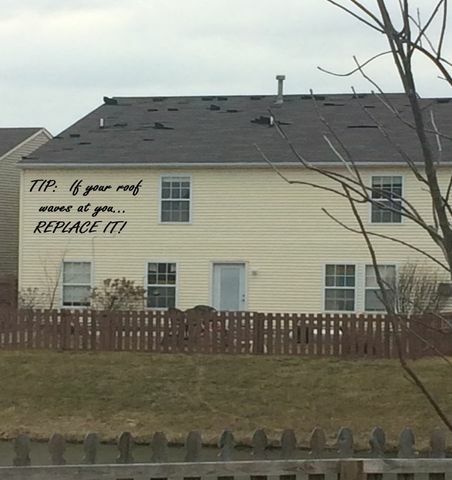 Tip: If your roof waves to you in the wind, it’s time to replace it! And you can do this BEFORE you even put your home on the market. Actually, I’m surprised more sellers don’t do on it.. Maybe they just don’t even realize it’s an option. But it just makes so much sense, you need to seriously consider it! You can avoid all the drama, all the worry and uncertainty by getting your own inspection…before you list. However, you’re not paying for the Buyer’s Inspection you’ll be paying for your own. News flash!! Most Buyers will not completely trust your inspection and will order their own anyway. Does it make any sense, with so much at stake, to have the buyer be the only one with an Inspection Report? It’s such a simple solution, and has some amazing benefits…not the least being an enormous reduction in stress and uncertainty. That alone would be well worth an inspections relatively minor cost. It puts you in the drivers seat. Your Inspector will be working for you. It sets expectations and there are no surprises. Your buyer keeps the same confidence in your home they had when making an offer. An inspection prior to listing gives you a chance to complete “honey do” items prior to your buyer’s inspection. This can save you money – possibly many time the cost of an inspection – or at least give you an opportunity to get estimates of repairs if you can’t afford to complete them right away. It takes knowing the facts about your homes condition before you get an offer. And the only way you can really know is to get a pre-listing inspection from a Licensed Home Inspector. Still not convinced? Let me know your questions in the comments below.